This paper describes open pit studies where blasting damage introduced in the remaining rock has been investigated. Results from two open pit mines are described and discussed. Parallel performed laboratory experiments, where simulated blasting damage has been introduced into samples before shear strength testing took place, are also reviewed. 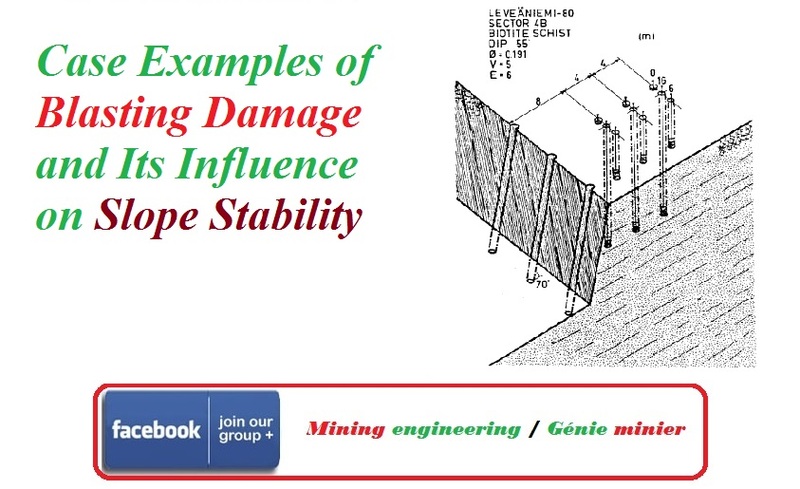 These studies are tied together in order to throw some light upon how the blasting damage influences the slope stability. A mathematical model is also described which will make it possible to optimize the blast design for a specified damage zone in the rock mass.